During the Fall and Winter seasons, Atlanta’s humidity will decrease. Although the lower humidity certainly feels refreshing, many patients experience a worsening of their dry skin conditions, including eczema.  General recommendations of utilizing mild soaps and moisturizers might be sufficient for some patients, but more advanced prescription options are required to alleviate the itching that can often accompany more severe dry skin conditions. Thankfully, there are several new prescription options for patients who suffer from dry skin and eczema. These newer medicines may be applied topically or injected (for more extensive and severe eczema). Make an appointment with one of our doctors to chart a course for less dry skin this winter!  Welcome to Atlanta Dermatology’s new website! We hope our new look is fresh, inviting, and easy to navigate. We will continue to update and upgrade our site over time, and welcome any comments you may have. This blog will be updated from time to time by our doctors, so check back regularly for new posts on practical skin-related matters. We may have changed our appearance, but we still provide the same personal, professional service for which we’ve always been known. If you’re new to us, call for an appointment and join the Atlanta Dermatology family today! To our existing patients, it is a pleasure to serve you, and we look forward to caring for you for years to come!